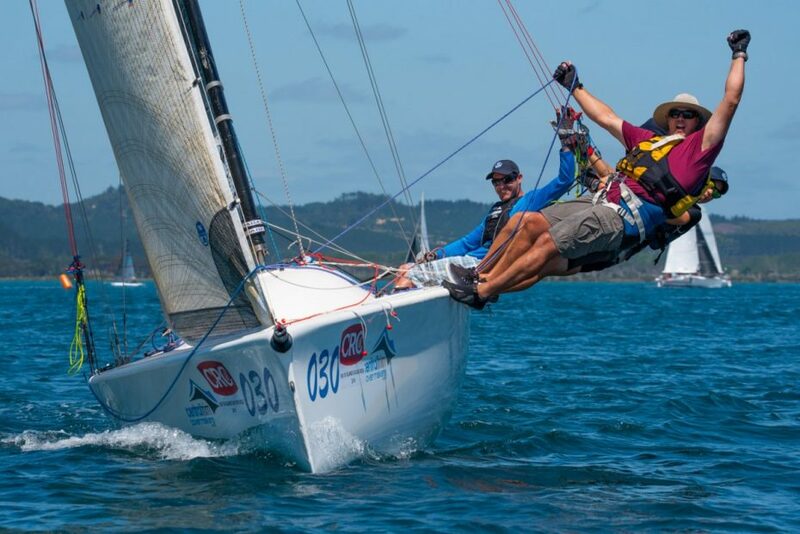 Delays didn’t do much to dampen spirits on day one of CRC Bay of Islands Sailing Week yesterday. In what’s becoming fairly typical of conditions at the annual regatta, racing got underway to a slow but sunny start. With light winds forecast for the rest of the day, race officials set conservatively short bay race courses. But as winds built to a stiff breeze, some competitors in the Island Racing A division were around their course and headed for the bar in as little as two hours. Entry numbers are down slightly in the windward leeward divisions, as many participants instead opt to sail in the Island Racing divisions, Despite that, there was good racing in the A and B division fleets, with Georgia leading A division on general handicap at the end of Day 1, and Wired so far in the lead on PHRF. While in B division, it’s Icebreaker on top on both general handicap and PHRF. 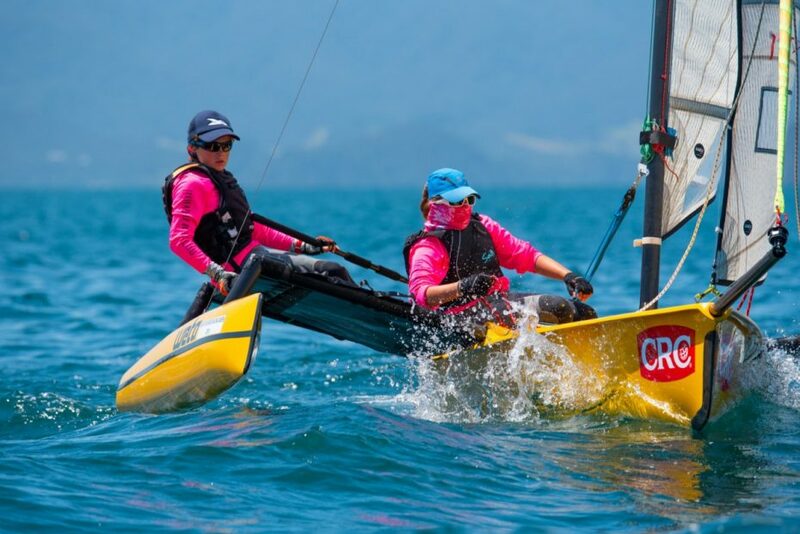 In the Weta Trimarans fleet, a late two-handed entry meant organisers had sufficient numbers of both two- and single-handed competitors to run separate divisions for each. In the two-handed division, young guns Ted and Lilly-Marie Houry got off to a good start, winning their first race. But the brother and sister team, aged 12 and 14 respectively, ended the day in second place overall, with subsequent second places in the remaining races. 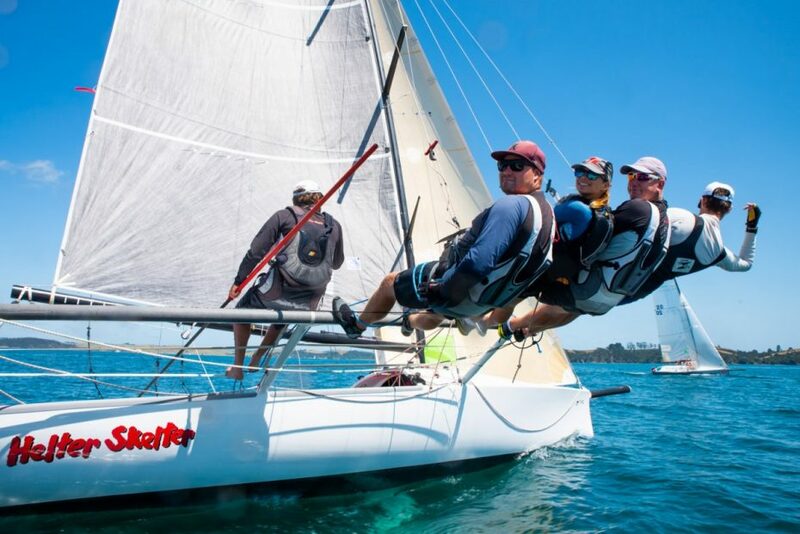 In the Sport Boats, local pocket rocket Angry Dragon took two from three wins on line. But even after dropping their worst performance of the day, it still wasn’t enough to take the lead from Helter Skelter, who ended the day at the top of the table on general handicap. In the Island Racing fleets it was a day for the bigger boats, who completed the course before the breeze died out leaving their smaller counterparts struggling for speed. 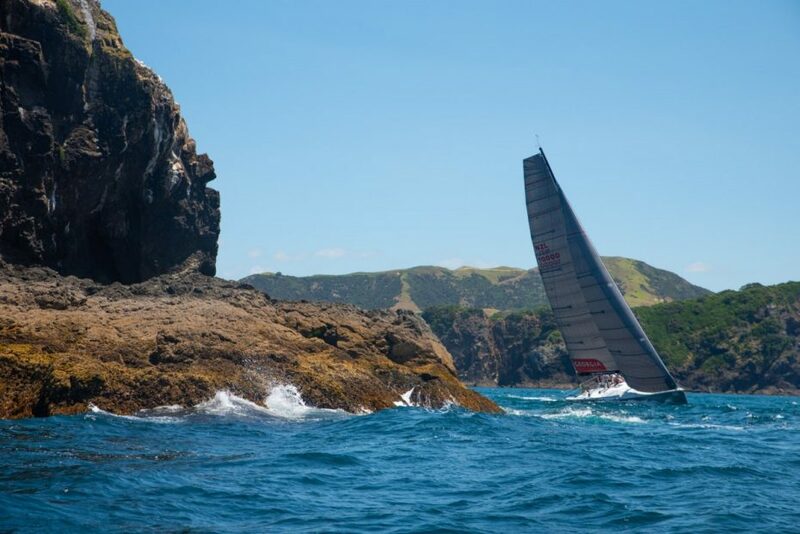 Sportivo took the win in Island Racing A, overseas visitors First Picasso took out Island Racing B, and local Opua boat Kantime are leading Island Racing C.
In the newly created Island Racing F, the Royal New Zealand Navy battled their way to first place, with Paea II taking the lead. Racing continues today, and conditions are forecast to be similar to yesterday, with light winds in the morning building to a steady sea breeze for a time in the afternoon. Friday should see more wind, with a good breeze all day in the forecast, so race officials are expecting no issues getting all races in for the rest of the week.